Hey all. Welcome back to the TV Week That Was. Last week started off with the Golden Globes. Now, none of the awards were too controversial or questionable, even, but everyone came out of the event with three words in their heads. Oprah for President. Oprah Winfrey was given the Cecil B. DeMille Award for career excellence and she took her opportunity to speak out on behalf of the #MeToo and Time’s Up movements in an acceptance speech that was just amazing. It felt like a speech that was … presidential. As soon as the speech was over, Twitter erupted with speculation and #Oprah2020 hashtags. 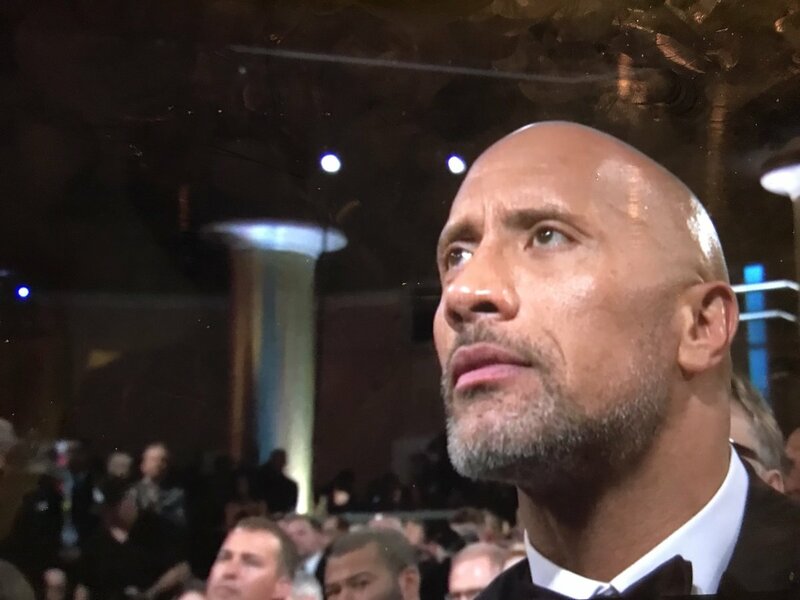 The speech was surely inspirational (just look at the Rock listening to Oprah intently) and it was a remarkable moment for the Golden Globes. A typical Golden Globes Awards presentation was a semi-drunken affair where “anything could happen.” This year’s Golden Globes felt considerably more adult and grown up and I think that Oprah had a great deal of reason for that. Agents of SHIELD is is full swing right now and the show is getting better and better. We came very close to a reunion of the whole team this week as everyone except May met back up. It is so sweet when Coulson sees Daisy and Fitz and he treats them like he is their father. Then, we find out that Kasius did not die last week as it seemed. Instead, his scar was across his face. It gave him character, according to Kasius’s brother, Faulnak. While I was not sure about Kasius’s fate last week, there is no question about Faulnak and his fate this week as Kasius stabbed his brother in the back, killing him. Kasius and Sinara became much deeper and awesome villains this week, setting up what is sure to be an epic conclusion to this pod when it is finally ready to end. Agents of SHIELD had multiple call backs to previous episodes this week, including one from the very first season! Word is that head honchos at ABC have been impressed with AoS this season and may be considering renewing it for season 6. To that I say…YAY! Hulu’s Runaways finished its first season with the kids actually heading out on the run. The fans of the show have been waiting all season for this to happen, finally occurred as the group took off. However, the show has done a good job of easing the evil of the kids’ parents, and tossing most of the shade toward Jonah. There are a lot of questions still up in the air with this show but the good news is that Hulu has renewed Runaways for a second season so some of those answers may be coming. The X-Files had a wild and, yes, confusing episode featuring former Lone Gunman Richard Ringo Langly, who died 15 years before this. Seemed as if Langly had some connection to an attempt to digitize people’s minds and create a new world of scientific discovery where the Ramones are playing all the time. This felt like one of the classic old X-Files episodes where they dealt with a case a week, although this also fit in with this season’s overarching conspiracy as we see Price involved in this one as well. And, just like classic X-Files, there is not a nice, clean ending. I have enjoyed season 11 so far. Something that has been missing for far too long has been Movie Fights Live from the Screen Junkies. The show returned this week in its new format. The format was adjusted and tweaked in order to shed the memory of Andy Signore, the former host and judge of Movie Fights who was revealed as being involved in several sexual misconduct/harassment cases last year. The new format features two fighters instead of three and adjusted the number of rounds involved. This week we got a movie fight between Joe Starr and Danielle Radford, with Danielle getting the W. Hal Rudnick is the new host of the show and one of the judges. The NFL season is continuing to work its way down to finding the two teams that will participate in this year’s Super Bowl. Right now, in the AFC, we have the New England Patriots taking on The Jacksonville Jaguars in the AFC Championship game and, in the NFC, the NFC Championship game will be the Philadelphia Eagles vs. the Minnesota Vikings. The Vikings won a game against the Saints to advance to that game with the most remarkable and improbable walk-off touchdown with no time left on the clock.